Return to the antique designs of the early 20th Century with this faucet, offering detailings of refined splendor and ornate design to your home. 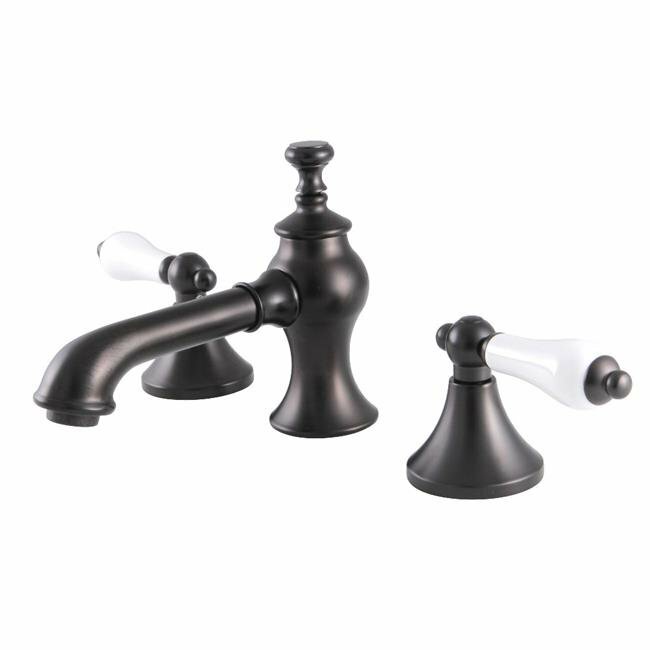 Ideal for more spacious bathrooms, widespread faucets are more spread apart and feature a 3-hole installation. The Vintage 8-Inch Widespread Lavatory Faucet with Brass Pop-Up and its featured sturdy brass construction and premium oil rubbed bronze finish are guaranteed to glamorize your home's traditional ensemble for years to come. Let this faucet bring about an air of traditional allure to your interior home design. A matching finish drain is also included.